Water restrictions in Ahousaht have been lifted, as crews in the Flores Island community closely monitor the level of the community’s reservoir. A boil water advisory is no longer in effect, and now showers, the flushing of toilets and other domestic uses are also permitted, bringing relief to the 1,000 or so Ahousaht residents who have faced restrictions since Sunday. The community's state of emergency is also over, according to the First Nation. This news comes after water quality test results were available at 12:30 p.m. today. The water restrictions were in place since Sunday after it was discovered that Ahousaht’s reservoir was filled with muddy water. Particulate turbidity levels were so high that the muddiness of the water put a strain on the community’s filtration system. 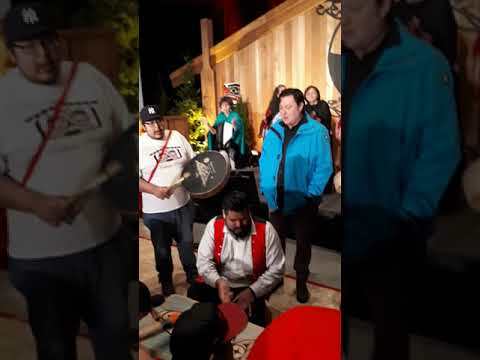 With the state of emergency in place, elders were transported to the Best Western Tis Wis hotel in Tofino, while Ahousaht’s Maaqtusiis school will remain closed until after a Remembrance Day ceremony on Monday, stated the community’s emergency response team. Bottled water has been distributed to Ahousaht’s homes and support has come from a variety of sources, including Khalsa Aid Canada, a Sikh humanitarian organization that donated a skid of bottled water and hand sanitizer. Water from Tofino fire hydrants has been pumped into tanks and loaded onto a barge supplied by Cermaq, as crews have worked day and night to replenish Ahousaht’s reservoir with a clean supply.